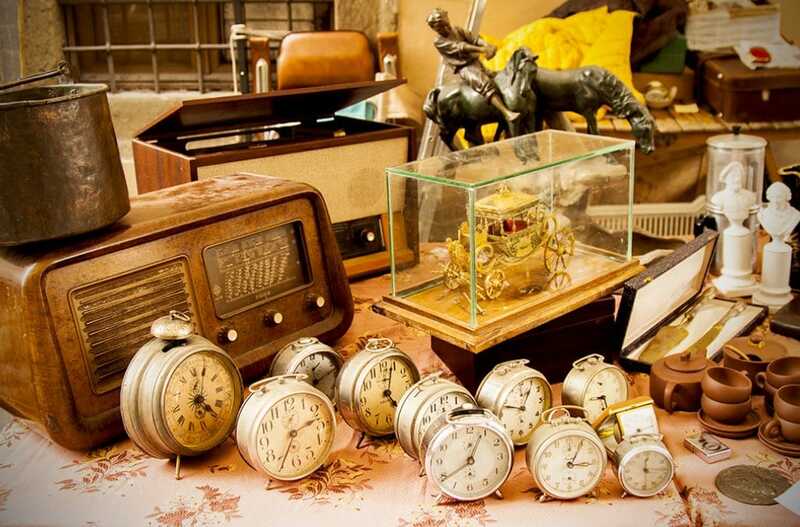 On the first Sunday of every month, and the Saturday before, when its Piazza The Antique Market in Arezzo is considered one of the best antique fairs in Tuscany and was the first market of its kind to be established in Italy in 1968. It’s held regularly the first weekend of every month and over the years has grown in size and reputation. There are now around 500 vendors from across the country selling their goods at the market, which is visited by around 30,000 customers. Piazza Grande is filled with a motley collection of old furniture, musty paintings and stained silverware, tarnished candlesticks and kitchen cabinets, chipped china and violins, Roman coins and a harmonium, old-fashioned telephones and grandfather clocks, it is a lodestone for connoisseurs and bargain hunters. 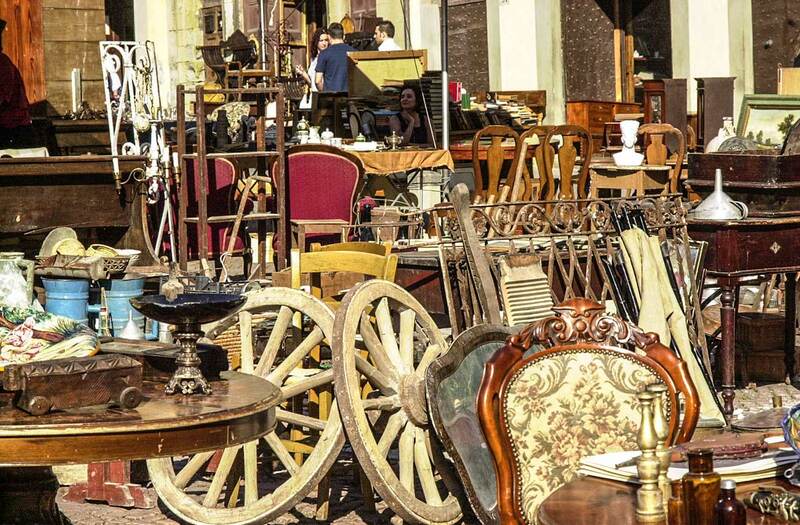 The monthly Antiques Market with its 500 exhibitors and about 100 little shops open all year round, is, since 1968, an added incentive to visit this art-laden city. 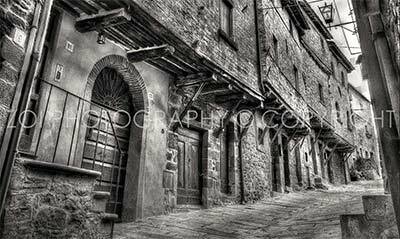 The fair takes advantage of the extraordinary scenery of Piazza San Francesco, Piazza Grande and the Logge del Vasari, but the stalls spread over the side alleys and squares across the historic centre, transforming the character of the city for the two days of the Antique Market. For forty years the appointment on the first Sunday of each month and the Saturday before is a must for fans and curious. 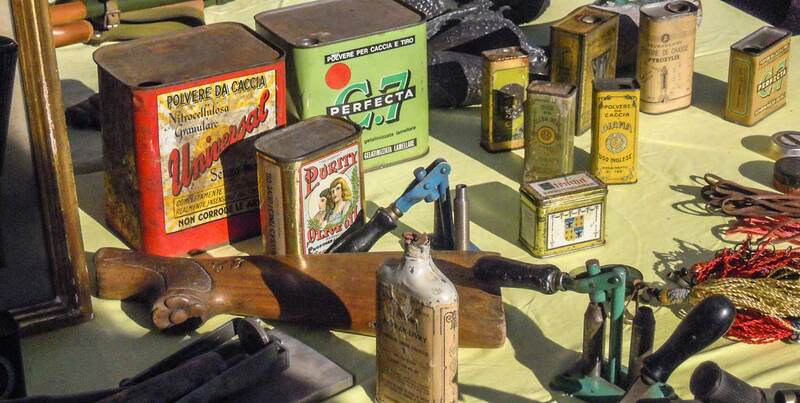 The offer is very diverse to meet the needs of the most demanding collectors and art lovers. 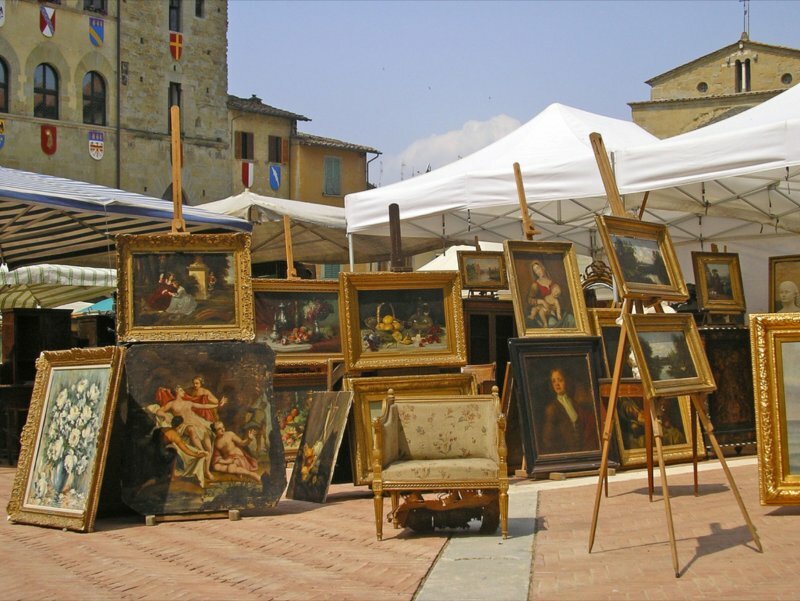 But also non connoisseurs will have the chance to enjoy the visit to the Antiques Market in Arezzo: they will find a great choice and also those who, with patience, will give explanations and assurances. In recent years there was a major growth in the sector of restoration as well. This has helped, along with that of art historians which was already very active, the formation of an environment suitable for new initiatives: better preservation and enhancement of artistic heritage publicly owned that has ended up stimulating the Antiques Market itself. Numerous furniture restorers, thanks to their great tradition and experience, will be able to solve even the most difficult and complex problem. 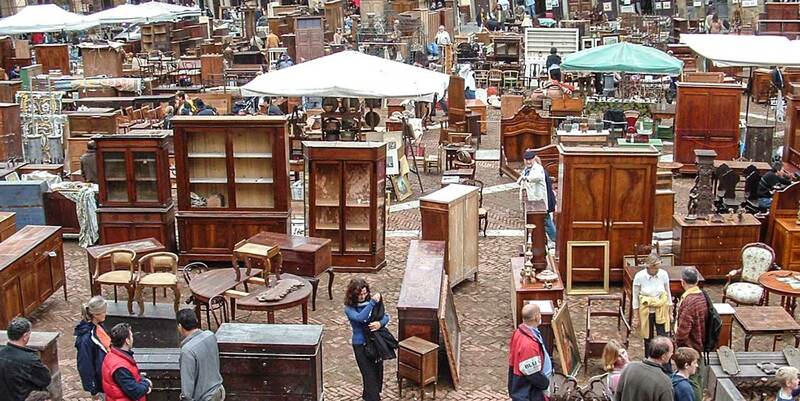 The fame and respect, sometimes almost myth surrounding the most famous Antiques Market in Italy provide a constant presence of vendors in any season and any time, without influence in the prices. The event, ideated and strongly wanted by the Aretino Ivan Bruschi, is the most popular and visited by Italian and foreign tourists, thanks to the scenery of an artistic and architectural landscape of enormous value.